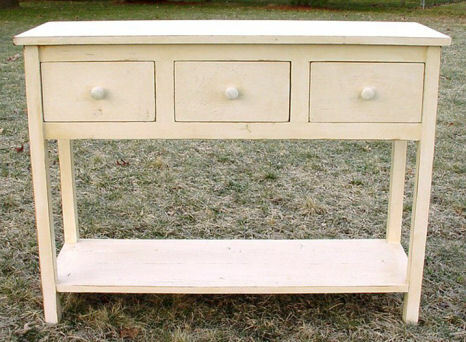 This is a great sofa table with three drawers. Excellent for in a hallway, landing, or behind a sofa. The drawers can be made to pull the whole way through the table if you like. We can make it any size or color you like.